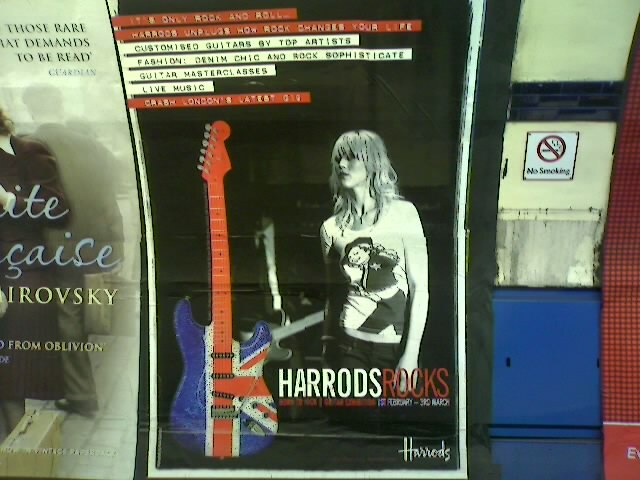 How cool to see Simon King’s London Denim T-Shirt for Harrods in an ad in the tube station! I love these T’s – they’re super soft. I have a white one with a heart on the sleeve and it comes with a cute little belt. Who could resist a T shirt with an accessory?! London Denim Simon King from London Denim with Craig at Harriet's Muse. He gave me one of his new t shirts. It's so soft. I love it!!! Cat T-shirts by Black Score I love when you just know the designer must own a pet - so many cat t-shirts by Black Score and the designer Simeon Farrar does own a cat. High Octane Art Some very cool t-shirts! They also have a shop near Carnaby Street.